North Cariboo BAe 146-300 for the FMAI British Aerospace 146-300 base model. These are textures only on a new paintkit made by Paco. The FMAI British Aerospace 146-300 base model is required. It can be found at flightsim.com. Search for ai_b463.zip. 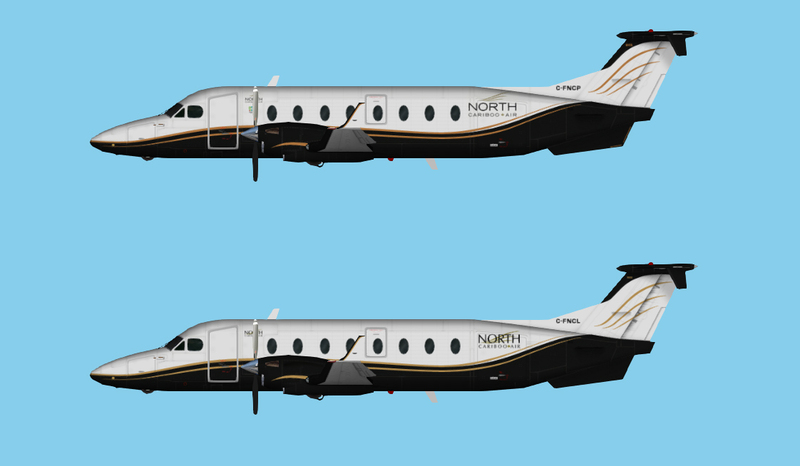 North Cariboo Beech 1900D for the HTAI Beech 1900D base model. These are textures only. The HTAI Beech 1900D base model is required. It can be found at www.avsim.com. Search for paintkit_beechcraft_1900d.zip. North Cariboo Beech King Air B200 for the HTAI Beech King Air B200 base model. These are textures only. 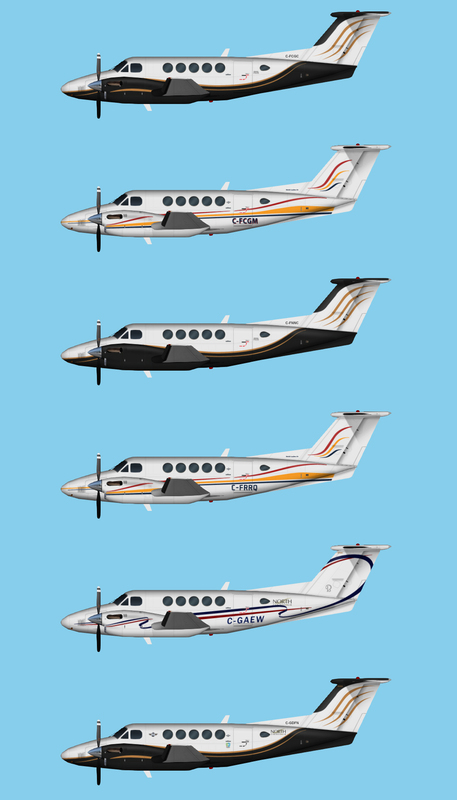 The HTAI Beech King Air B200 base model is required. 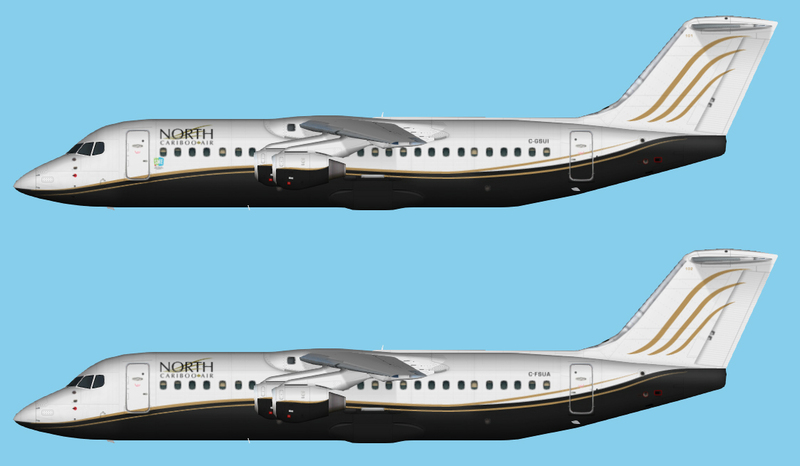 North Cariboo Dash 8-Q400 for the TFS Dash 8-Q400 base model.